Make this quick and easy quilt in your choice of 6 sizes! 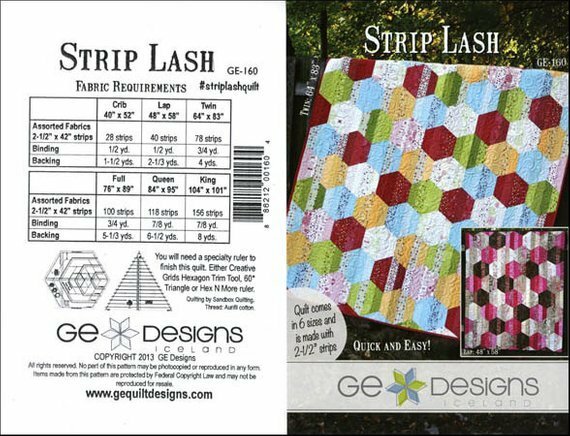 Requirements: Jelly roll(s), Creative Grids Hexagon trim tool, Creative Grids 60 degree triangle, and pattern must be purchased from The Laughing Ewe Quilt Shop. Sewing machine and general sewing tools.